I won this book in June at Eat, Write, Retreat. 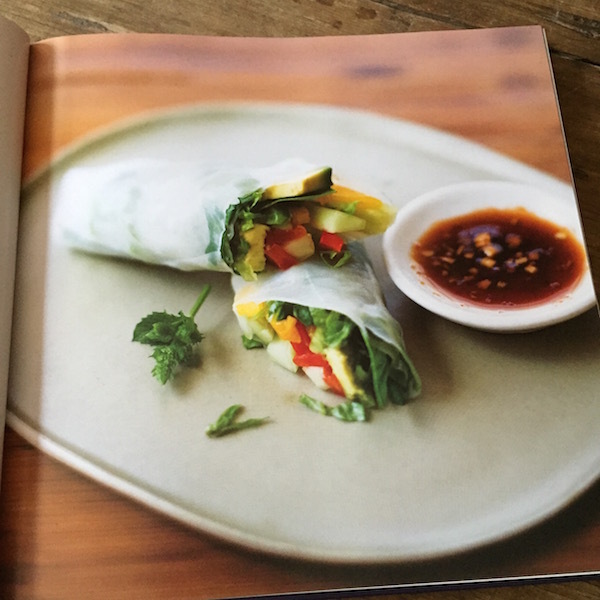 After visiting the Golden Door, I was even happier to feature their beautiful book: Golden Door Cooks at Home: Favorite Recipes from the Celebrated Spa , written by Dean Rucker with Marah Stets. The book is organized into the following chapters: appetizers, salads, soups, vegetarian main dishes, seafood, poultry and lean meats, desserts, breakfast, drinks, dressings, and basics. Back matter includes nutritional information and resources. 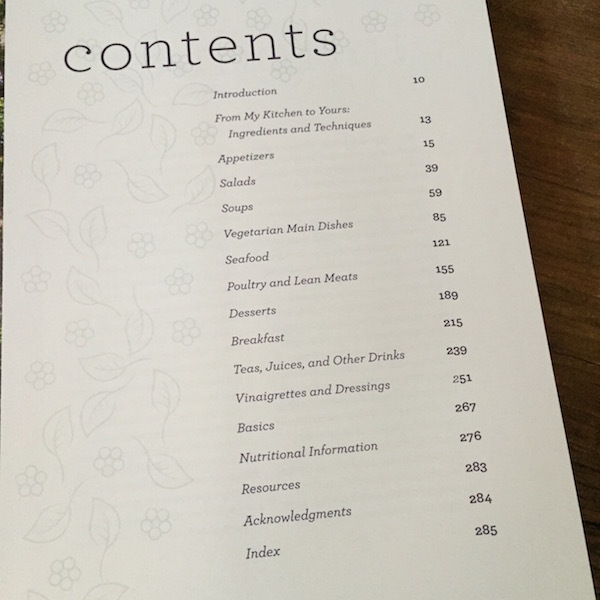 It’s a large-format glossy, hardcover book that makes you feel like you’re at a spa. 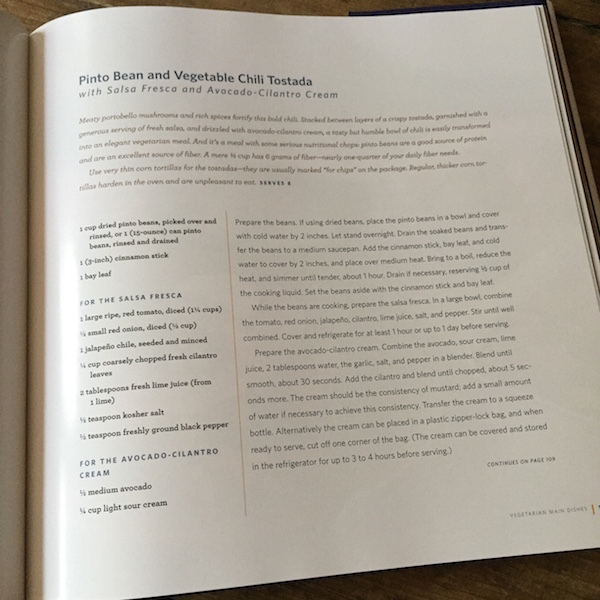 I would have liked stronger typefaces to make the recipes a little easier to read. Gorgeous photography by Quentin Bacon captures the spa feeling beautifully. Recipes include spiny lobster and mango gazpacho shooters, broccoli almond salad in radicchio cups, Italian chicken sausage oven-dried tomato and orzo soup, red lentil veggie burgers with garlicky yam fries and spicy mango ketchup, wild salmon with quick-preserved lemon mashed potatoes and asparagus vinaigrette, adobo-marinated grass-fed flank steak with spinach salad and roasted poblano dressing, warm flourless chocolate cake with orange sauce, and crispy potato cakes with chive scrambled eggs and smoked salmon. A destination/coffee table book that makes me want to stay at this spa. Inventive recipes. Many recipes could be adapted to be paleo. Recipes were not coded for special diets; nutritional analysis is not provided, which would be helpful for low-sodium eaters. Recipes are not for beginners. Required FTC disclosure: I received one copy of this book from the Golden Door for the giveaway that ENDS TODAY. 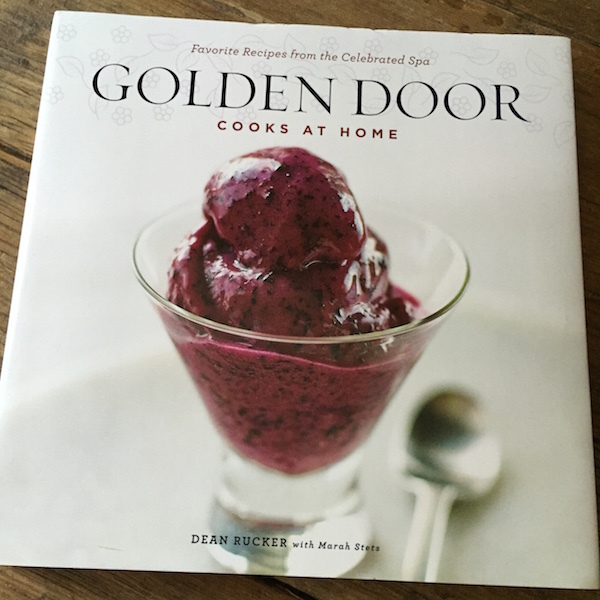 I’ve always wanted to go to the Golden Door – sounds like the cookbook delivers the spa experience! Bacon is one of my favorite food photographers, looks like a lovely book.